We designed our special Megabass teardrop head according to each weight. The design has been refined according the specific intended use. The silicon skirt uses the optimal combination of uneven and normal skirts. 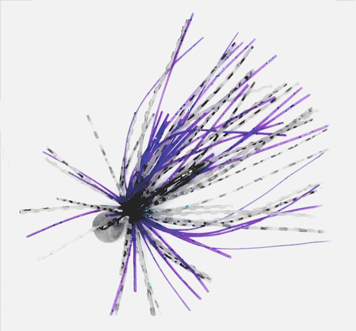 This finesse jig was created with the knowhow needed for a 100% success rate. A spinning and casting model. It shows excellent performance with mid strolling in open areas and when used for slow falling during cold seasons. By putting the head's center-of-gravity in front of the line eye, a consistent horizontal posture during swimming and falling has been achieved. 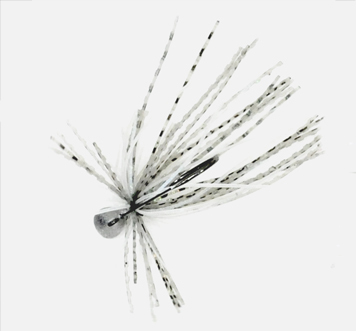 This is the ultimate finesse weapon that will capture bass without spooking them one bit. A setting to catch bass that are hunting prey(insects) falling in shallow areas. Like the 0.9g, it is able to fall with a horizontal posture. 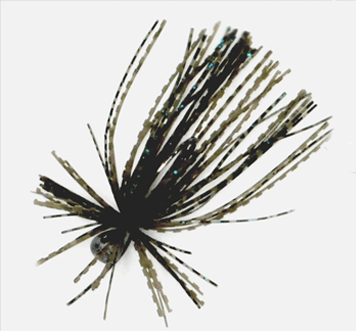 It's a finesse jig great for targeting bass suspended in and around cover. This all-rounder excels at falling, swimming and bottom stays. 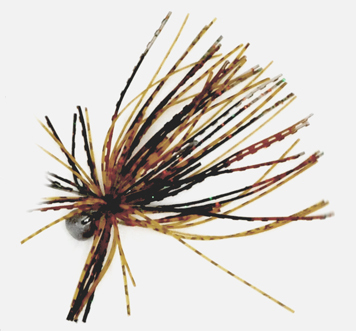 This is an indispensable model that will become the mainstay of your small rubber games. 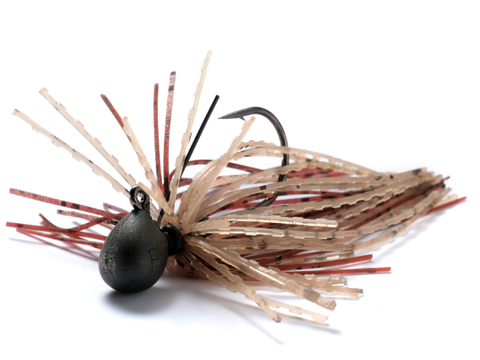 A bait finesse model. 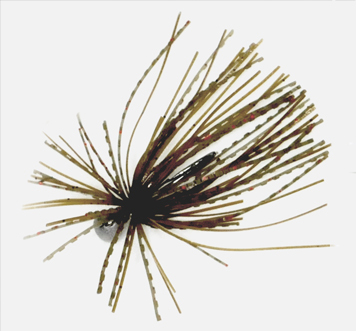 It has the ability to be cast against a moderate headwind, and is great for a high tempo run & gun approach, and therefore suited to be used as a search bait to cover a wide area. 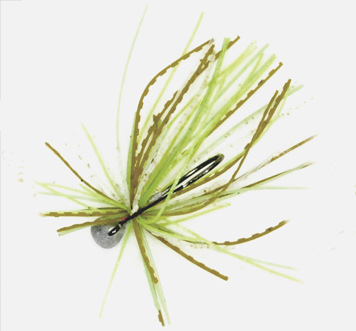 The forward center-of-gravity on the head makes the hook point face upwards during bottom bumping and lands even glancing bites. 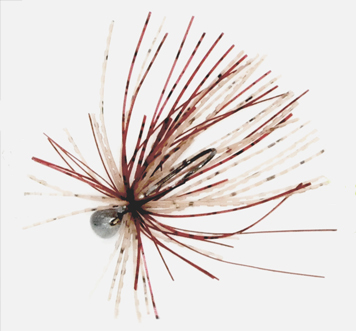 Its excellent snagless performance makes it great for pinpoint shaking deep into cover. Bait finesse requires delicate weight adjustments according to the liveliness of the targeted fish, the thickness of cover and depth. 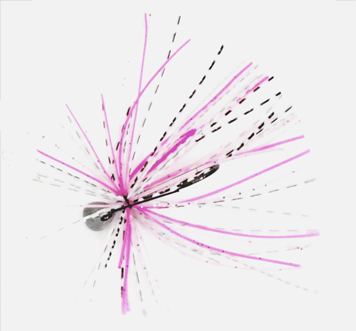 The 3.5g slightly increases fall speed to elicit greater responses from targets, and can be directly cast into cover. The snagless performance has been increased, and it excels at pinpoint shaking deep in cover and bottom bumping. A medium weight that is not too heavy and not too light. 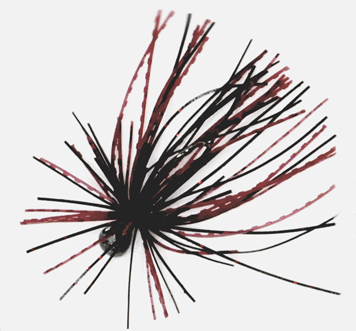 This is used when your rubber jig is not being responsive enough with normal bait tackle. 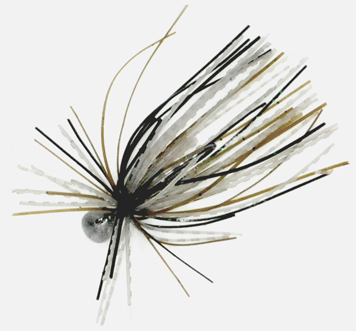 The super high sensitivity of the tungsten head and the short shank hook--which has excellent power transfer--allow for lightning fast hookings.